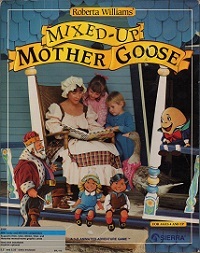 Mixed-Up Mother Goose, designed by Roberta Williams, became one of the best-loved children's software titles of all time. The child can pick from several characters to find the one that most resembles him or herself and the game uses a simple child-friendly interface. The game was remade several times. It was first remade in 1990, using Sierra SCI engine with both EGA and VGA graphics, supporting sound cards and modules. 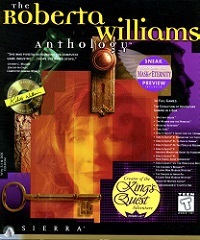 In 1995 it was again remade as Mixed-Up Mother Goose Deluxe, featuring SVGA graphics, digitized music and voice, and a host of new features.